With the media all gung-ho about covering the worst news, sometimes it can be easy to lose sight of the good things that are accomplished with various kinds of tech. For example, 3D printing technology has been rampantly covered lately thanks to an increase in plans for 3D printed weapons. You can make a 3D printed weapon? That surely means 3D printing is bad, right? Sure, except that a 3D printed implant saved the life of six week-old Kaiba Gionfriddo. Kaiba was at a restaurant with his family when he suddenly stopping breathing regularly and began turning the color blue. Before long, doctors discovered that Kaiba suffered from a severe case of tracheobronchomalacia. It’s an extremely rare condition where the trachea begins to collapse because the surrounding cartilage is too flaccid. In other words, the trachea doesn’t get the proper support it needs and so it begins to collapse. Poor Kaiba survived the sudden occurrence at the restaurant, but he still needed constant resuscitation on a daily basis- obviously, something needed to be done. 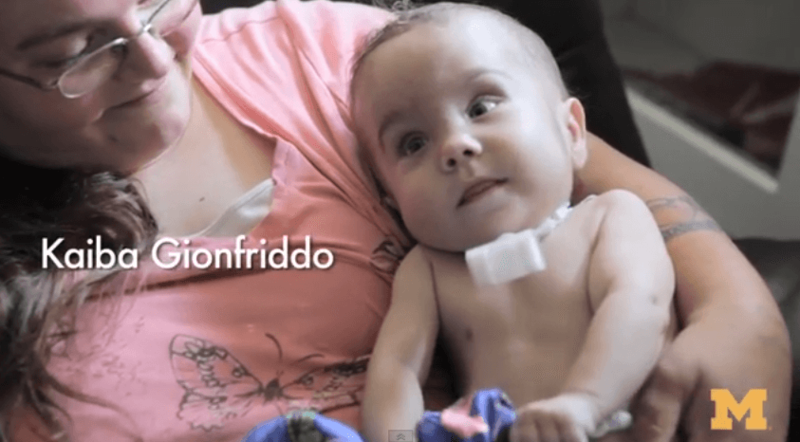 His doctors tried a relatively new, and unorthodox approach, they designed a 3D printed tracheal splint which was subsequently implanted in the infant’s body. The 3D printed device used in the operation was already under development, but it had never been tested on a human before. Because of that fact, the doctors had to request emergency clearance from the US Food and Drug Administration in order to use it on Kaiba. 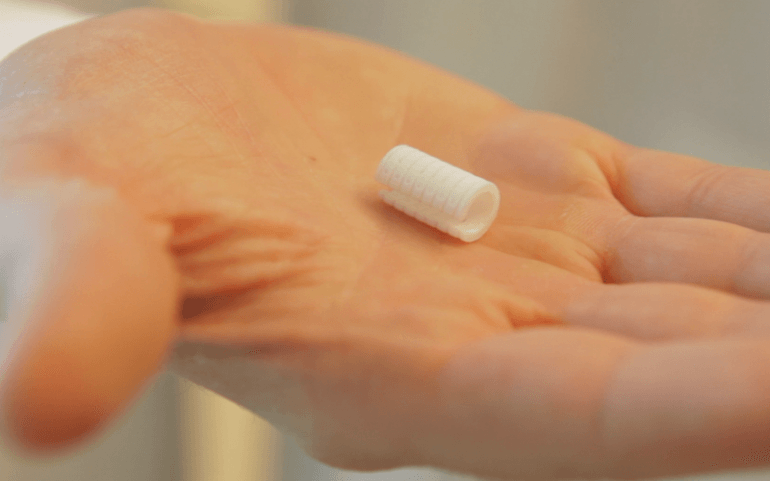 Dr. Glenn Green, an associate professor of pediatric otolaryngology at the University of Michigan, and Dr. Scott Hollister, a professor of biomedical and mechanical engineering, were working on the device before it was used in the operation. The operation actually took place on February 9th of last year, but Kaiba hasn’t had any breathing problems since the operation. It’s remarkable to say the least. It goes without saying, Dr. Green is pleased that the turnout for Kaiba has been positive. It’s timely because a paper on the incident and operation was recently published in the New England Journal of Medicine. The video below talks a bit about the operation and features Kaiba, who is now 20 months old.